I don't think giving animals guns is any kind of answer. Won't be buying shirts from here. 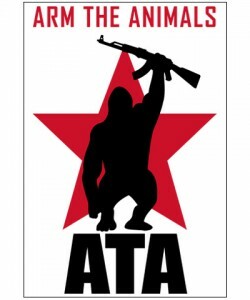 If we gave animals guns, animal cruelty would no loner be a problem!